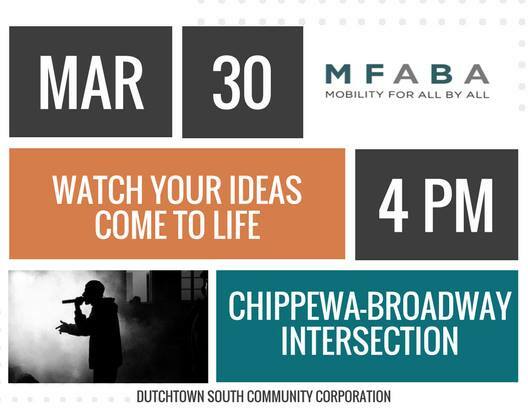 In collaboration with Washington University’s Mobility For All By All and Perennial, Dutchtown South Community Corporation is using hip-hop and design to involve neighbors in the planning of Northside-Southside MetroLink expansion. We are asking how can we ensure an increase quality of life and equitable outcomes for our neighbors who will be most impacted by this development. We received feedback at bus stops and on buses and will install a site-specific installation by Perennial of what people said they wanted! Come give your feedback, enjoy the festivities, and see the reveal. This event was updated on March 22, 2018 . See more Art, Dutchtown, Dutchtown South Community Corporation, Gravois Park, and Marine Villa events.